Pakistan is a country of 180+ million people, with a wavering economy of merely 3% GDP growth as compared to many Asian countries which are consistent at 7%. The political instability, war on terrorism, tense relations with the neighbors and dearth of macro and micro economic reforms have led the country into depths of poverty: economic poverty, poverty of opportunities, and more so the poverty of hope. Huge dividend of young population is at the very verge of becoming a threat rather, because of no education, no healthcare, no employment, and no rights. Thousands of women in Pakistan die annually because of maternity and not due to illnesses and diseases sans cure. Over-shadowed by the societal patriarchies, and lacking autonomy, access and choice which are the foremost requisites of family planning, she ends up having at least one unwanted, untimed pregnancy. This ill-fated pregnancy and a million similar to this are very likely to be terminated in a clandestine manner in the hands of unskilled provider, jeopardizing the life of these women. Contraceptives seem to be still a luxury in this country and so is the access to quality reproductive health services. Usage of contraceptives has been stagnant for very much known reasons now. Supply side’s performance has been inefficient, inadequate and inappropriate, which is today a reflection of this dismal situation of our family planning indicators: CPR, Growth rate, preferred method of birth spacing, TFR, CYP etc. Having a separate apex ministry at the federal level to deal with population matters did not yield any reassuring results whatsoever, despite successive policies, programs, partnerships, and whole paraphernalia of state’s machinery whose mandate was no so complicated, but to curtail the population according to the resources of the country. The goal was neither thought out logically nor ever depicted reasonably in clear acceptable tone to the 70% unschooled rural masses. Devolution is out of its infancy and is hoped to have achieved a certain level maturity; so is the new government with heavy mandate from the people of Pakistan. Expectations and eyes are very much on governance, strategic planning, integration, responsiveness, prioritization, and fair financing in family planning programs. For the provinces, challenge of diffusing the population bomb is big but needs to be taken head-on. Family planning is a crisis and must be dealt as we hear government’s so called pledges for dealing with dengue, tuberculosis, measles and polio. The matter cannot be hushed up anymore and cannot be swept under the carpet to deal with later. Point of advocacy: “To be on the road to development, economic revival, self-reliance and population’s socio-economic uplift, the key is to plan the population first”. Because the size does matter! Until our rulers, politicians, and influential become committed to effective population programmes and proper policies, poor will continue to have children.. Middle and upper classes and most urban families are practicing contraception. That is slowing down the growth rate but not sufficiently to make a dent. Currently, the war against terrorism, political movements, inflation, foreign debt, and load shedding crisis, to name a few, are attracting all the government’s attention, but if population growth is not checked, these crises will only get worse, not better. 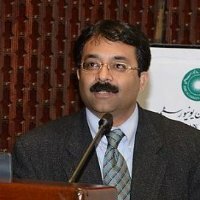 Pakistan is not ready to face increase of 10 million population, much less a hundred million that it may get in 30-40 years time, by keeping its face in the sand like an ostrich, ignoring the inevitable.. These are the times to chalk a national agenda and unity government to implement it, not to squabble and throw our children’s future to the dogs. Family planning crisis has been a problem in this country for far too long. Often we hear about NGOs working on pilot studies in small settings. These pilot studies need to be re-strategized and a wholesome solution should be committed to,which can be enabled for a larger setting.